Peppa Pig Live! 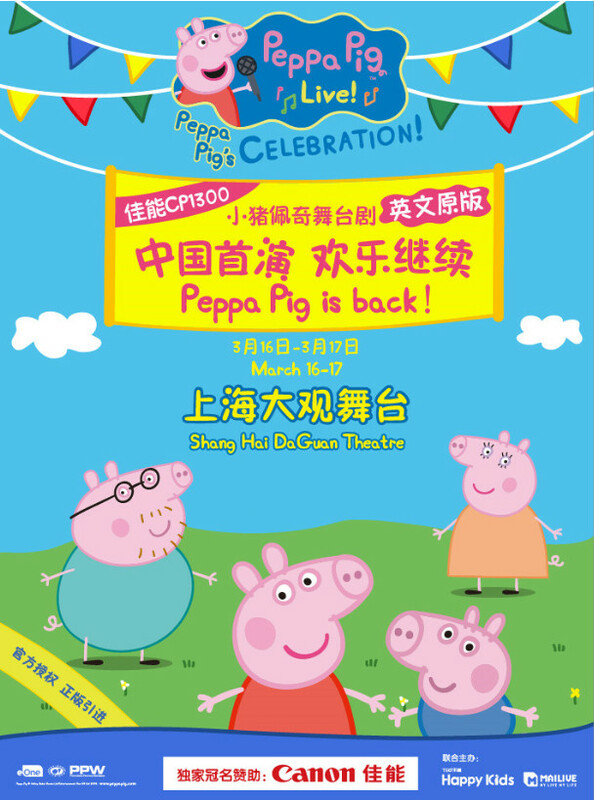 Peppa Pig's Celebration (English Version) will be held at Shanghai Himalayas Art Center—Daguan Theater from Mar.16 to Mar.17, 2019. The performance in English with Chinese subtitles.